Presoak the dried beans in 10 times as much cold water as beans for at least 8 hours in a cool spot. Some cooks no longer do the presoak but I think that soaking results in a creamier bean. Discard the soaking liquid and cover with enough fresh liquid (water, broth, or stock) so that there are 2 inches of liquid above the beans. Place over high heat and bring to a boil; then lower the heat and simmer for about 1 hour or until tender. Drain well through a fine mesh sieve and transfer to a mixing bowl. While still warm, add the tomato, red onion, chile, bacon, olives, garlic, and cumin, stirring to combine. Stir in the oil, vinegar, and lime juice and season with salt and pepper. Cover and let marinate for at least one hour before serving with warm fry bread or a basket of tortillas chips for dipping. It is thought that the recipe for Navajo fry bread came about when the American government relocated Navajos from Arizona to New Mexico in the 1880s and provided these Native Americans with government surplus lard, flour, sugar, and salt. From these not very pleasant beginnings, fry bread is now part of the culinary history of these native people and is eaten at tribal celebrations as well as at home. 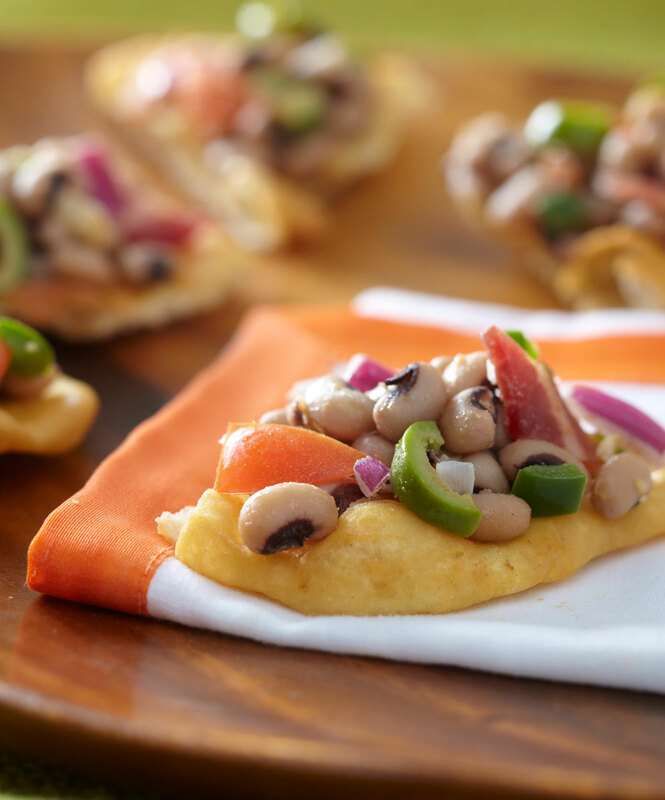 Throughout Texas and the Southwest, fry bread is often served as a wrap for taco-like fillings at picnics, fairs, and other gatherings. Combine the flour, baking powder, and salt in the bowl of a heavy duty standing electric mixer fitted with the dough hook. With the motor running on low, slowly begin adding the water, mixing until a soft dough begins to form. Continue to knead until the dough pulls together completely. Do not overmix. Transfer the dough to a clean bowl, cover with plastic film, and refrigerate for 1 hour. When ready to fry, place the oil in a frying pan over high heat and bring to 350ºF on a candy thermometer. While the oil is heating, lightly flour a clean, flat work surface. Remove the dough from the refrigerator and place it on the side of the floured surface. Pat the dough down slightly and pull off golf ball pieces of dough. One at a time, roll the balls out to about ¼-inch thickness. Cut a hole in the center to keep the dough from curling as it fries and place in the hot oil. Fry, turning once, for about 3 minutes or until golden brown and cooked through. Using tongs, transfer to a double layer of paper towel to drain. Continue frying until you have used all of the dough. Serve warm, whole or cut into triangles. 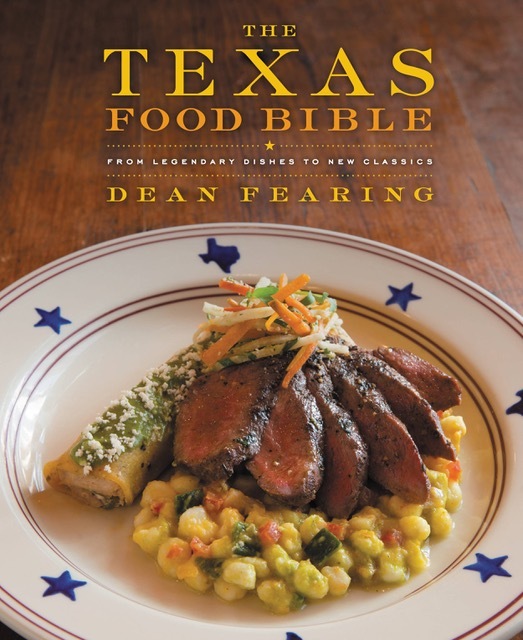 Creator of Fearing’s Restaurant and author of The Texas Food Bible, Chef Dean Fearing is renowned for the “Elevated American Cuisine—Bold Flavors, No Borders” of his award-winning Fearing’s Restaurant in Dallas. Long known as the “Father of Southwestern Cuisine,” Dean Fearing has spent his life cooking for people who love good food. 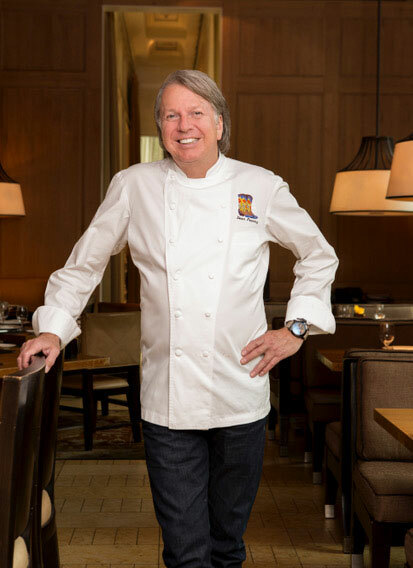 After 20-plus years at The Mansion on Turtle Creek, he opened Fearing's Restaurant at The Ritz-Carlton, Dallas in 2007. A reflection of his personal vision and design, the lively, comfortable restaurant features seven stylish dining settings, including the most distinctive alfresco experience in Dallas and a popular interactive display kitchen offering ringside seating for true foodies. Since its opening in 2007, Fearing’s has been named “Restaurant of the Year” and “Table of the Year” by Esquire Magazine, as well as #1 in Hotel Dining in the U.S. by the prestigious Zagat Survey and as #1 Hotel in Dallas by CultureMap. The restaurant was nominated by the James Beard Foundation as Best New Restaurant and it is currently included on top national lists by TheDailyMeal.com, Gayot.com and many other influential food websites.